Three nutritionally complete, balanced meals prepared by our chef using only the freshest ingredients. Between meals, morning and afternoon drinks and snacks are offered. All food can be adapted to meet the special dietary needs and preferences of each guest. Round-the-clock care by trained nursing staff. Medical care provided by our in-house specialist physician. State-of-the-art technologically advanced medical equipment, including a private doctor's room for medical check-ups. Patient rooms with single or double beds and en-suite washrooms / bathrooms. Ongoing treatment for the elderly provided by a physiotherapist. Treatment provided by a sociologist and psychologist. Medical supervision: check-ups, follow-ups and administration of medicine. Daily training program of light exercise and the option of swimming. Laundry service for linen and personal clothing. Privilege Centre of Living is proud to offer the highest standard of comfortable living residences. A variety of different sized rooms (e.g. single-bed or double-bed rooms). Different decors to choose from (e.g various coloured walls, furniture and luxury furnishings). the nursing station, wake-up calls, fire safety). 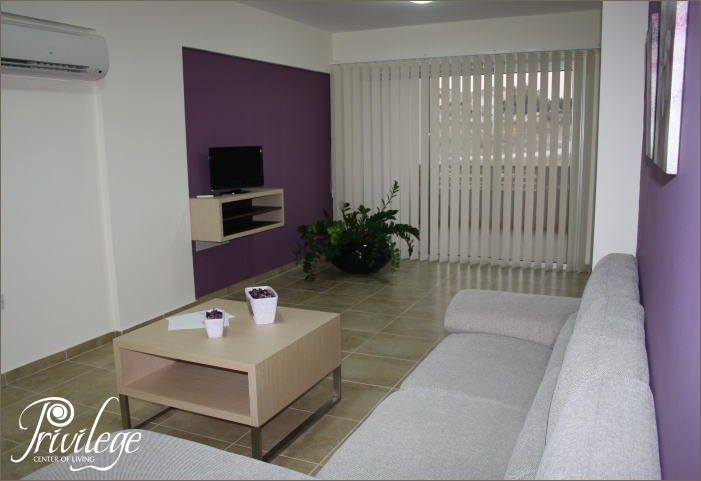 Individual heating and air-conditioning appliances for each room. Individual private fully equipped bathrooms including baths with support bars. Large balconies with open views. Television offering local channels and satellite. Large and attractively decorated sitting areas with bright light furnishings, including ergonomic reclining armchairs. Furnished Patios and balconies offering sea-views and a view of the city beyond. Covered outdoor dining area for the warmer months. Authentic traditional Greek-style open-air cafe on the ground floor. Outdoor swimming pool, specifically designed for the elderly and people with special needs. Children's shallow pool. Outdoor pool bar and cafe with proper chairs and tables. Comfortable sun loungers in the pool area for relaxation. Fully functional, high quality in-house restaurant offering complete meals. More than just "A home away from home". Over and above the breathtaking views, urban tranquility and daily cleaning services, Privilege Centre of Living also provides advanced security systems, individual heating / air conditioning and ergonomic furniture. What makes living at our Centre even more ideal is that each guest has real freedom, as well personalised service and the possibility for a wide variety of social interaction. To top it all off, residents can choose between a range of aesthetically pleasing rooms and apartments of various sizes and styles, enabling them to form their own, individual and personalised environment. We strive to make each and every moment you experience here feel like home... but even better. 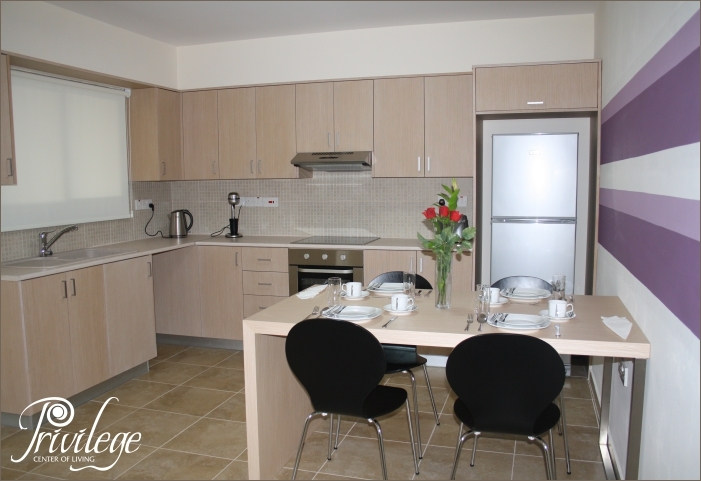 In addition to the usual services that a care unit of the highest quality would provide, Privilege Centre of Living offers its guests the ultimate in safety standards and pioneering technology - something unique to Cyprus. Over and above, we allow each guest the freedom to roam around the Centre, using its facilities as they wish, and spending their time to their liking. By having the option to carry out their own personal daily routine according to their capabilities and preferences, visitors and residents alike feel calm, relaxed and comfortable. The idea is that all people who experience the Centre, whether they are there temporarily or long-term, feel like they are our special guests... yet still feel at home. Copyright © Privilege Centre of Living Ltd. All rights reserved.